The team at East Coast Firearms LLC is proud to be your favorite gun, and ammo store in Dutchess County, New York. When it comes to hunting, you know that we carry whatever it is you need. 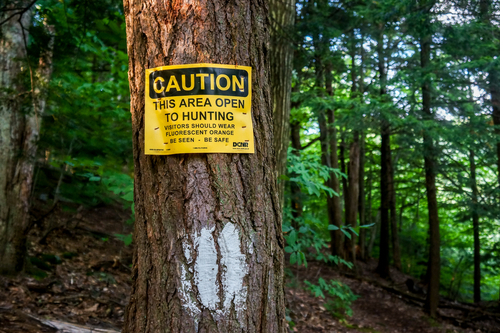 We love being able to provide you high quality firearms, but we also want you to know that when you go out hunting, your safety should always come first. 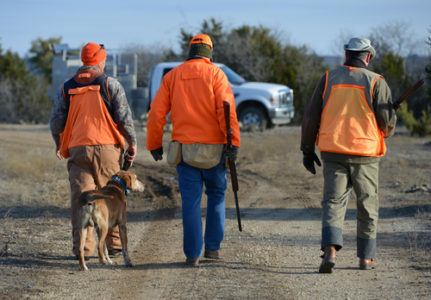 Below are some safety tips that we insist you keep in mind next time you go out hunting. It is very important that you follow this safety rule. If you treat every gun as if it were loaded, you will avoid many accidents. Follow all safety procedures for loaded guns and rifles. Guns are not toys. It is never funny to point your firearm or a fellow hunter in jest. You never know what could go wrong. During your hunting trip do not point your gun anywhere except at a target that appears. While walking around and scouting targets, do not keep your finger on the trigger of your firearm. You should always carry it carefully until you see your target. When you do find a target, that is when you can get ready to aim and pull the trigger. When you spot a potential target, clearly identify it. Let everyone in your group know what you are about to shoot at. It is also a good idea to identify what lies beyond the target. Communication is key when it comes to dealing with live firearms. Wet and cold conditions create a risk of hypothermia for hunters. Dress in warm layers, avoiding moisture-retaining cotton and remember to always wear a water-repelling outer layer. Before setting out, check the weather report to make sure you won’t be caught off guard by other inclement weather. It is always smart to tell your spouse, a friend, or relative about your hunting trip. Let them know when you plan to leave and when you plan on coming back. Communication of this kind is always a smart move when you plan on going hunting. Remember that the team at East Coast Firearms LLC always wants you to have a safe hunting trip. If you have any more questions about safety or equipment, call usanytime. Happy hunting!